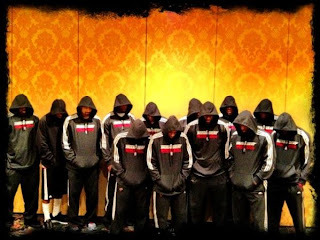 Trayvon Martin--what can we do? By now everyone (and I mean this in a global sense) or most everyone has heard the details about Trayvon Martin's death/murder/tragic killing (take your pick--I think all 3 fit the description for what happened to Martin). He went to a convenience store for skittles and ice tea, and on the way back to his father's girlfriend's place (in a gated community in Florida) he was followed/stalked by neighborhood watch volunteer, George Zimmerman, who was explicitly told by a 911 dispatcher NOT to follow Martin, whom Zimmerman believed was "up to no good." Contrary to what all logic and common sense/decency would have us believe when a 28 year-old shoots, to death, an unarmed 17-year old, Zimmerman was not arrested but, instead, seemingly protected by a Florida law called "Stand your ground," which the Sanford Police seem to have misapplied to the wrong person (since it seems obvious enough that the one who should have stood his ground and been protected from his assailant was Martin and not Zimmerman). There has been so much that I have been thinking about related to Trayvon Martin. I know that there's been a lag of about 3 weeks between my last post and this one, but I couldn't quite figure out what it was I wanted to say about Trayvon Martin--and I knew I wanted to say something--a lot of somethings. For instance, I wanted to make a connection to the murder of Vincent Chin and the fact that Chin's assailants stalked and killed him because of his racial difference--because they were angry at the "Japanese" taking jobs away from them (this was Detroit of the 1980s). Chin's murderers, Ronald Ebens and Michael Nitz, paid $3,000 for their crime and spent one night in jail. 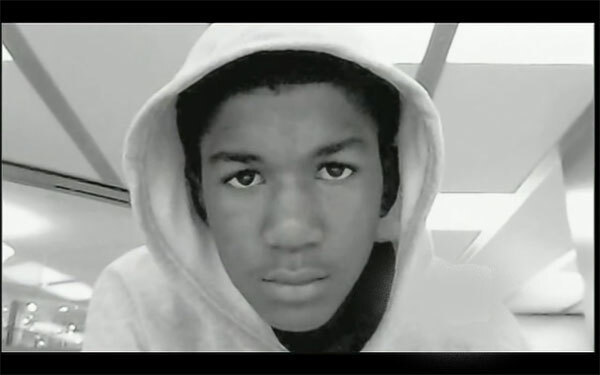 Chin's case launched a pan-Asian American and pan-racial movement for redress and justice, very similar to the marches, the mailing of empty bags of skittles, and the wearing of hoodies in solidarity with Martin and his family and in protest for the racism (and I mean this in every institutional and systemic way) that allows Zimmerman to be free and at large. The adoption of the “hoodie” is an invitation to a false collective fantasy that “we are all Trayvon Martin.” We are not all Trayvon Martin. The criminalization of black men in United States history needs to be accorded the specificity and critical analysis it deserves without the rest of “us” seeking to share or identify with it. Indeed, this article in the New York Times reinforces the idea that it is specifically young black men who need to be most attentive to the ways that their bodies have been associated with criminality and thus must be most vigilant against being the victims of violence (an apparent irony that hasn't been fully explored in our society--that young black men are seen as perpetrators of violence and thus become the victims of said violence by others seeking to pre-empt the violence they believe will befall them). Which brings me to the issue of race and racism. There have been those, such as Zimmerman's attorney, who has said that Martin's race was not a factor in Zimmerman's actions--that Zimmerman was attacked by Martin--his face was bashed to the sidewalk--and that he (Zimmerman) acted in self-defense, fearing for his life. The attorney also claims that Zimmerman cannot be racist because he is Latino (I think he uses the word Hispanic), has never used racial slurs against African Americans, and that he and his wife mentor two African American youth. I know I'm preaching to the choir with most of the readers who come to Mixed Race America, so let me just say, unequivocably, that the fact that Zimmerman's mother is Peruvian, the fact that he may have black friends, may mentor African American youth, may be fluent in Spanish, and identify as Latino/Hispanic, doesn't mean that (a) race wasn't a factor in his identifying the teenager as a possible criminal (b) racist attitudes were subliminally or not so subconsciously part of Zimmerman's mentality. In particular, I think "b" is important for all of us to remember, because we are ALL subject to racist thinking and we are all subject to systemic and institutional forms of racism, regardless of how we identify or who we associate with. We live in a white supremacist society--and by that I mean that the United States' foundation began on the premise that whiteness was the universal default mode against which everyone else would be measured (I could and should add that being a property owning heterosexual male was also part and parcel of whiteness). Some of us benefit more or less from this history depending on our current set of circumstances. But certainly Zimmerman lived in this society that has shown image upon image of black criminals. So seeing Trayvon Martin as a potential criminal couldn't have been that much of a stretch. So where do we go from here? What do we DO? This is what I've titled this blog post--because I want to try to think about and talk about what kinds of actions we can be taking in light of Trayvon's murder. I want to go beyond just wearing a hoodie in solidarity and to think about and act on what seem to me most obvious and pressing: stricter gun control laws, fixing the criminal-justice system in its interpretation of laws like Florida's "Stand-your-ground" (or repealing said law), and decoupling, in our popular culture, the image of black men with crime/criminality. I do have some hope. I think that this can go beyond just a meme and rhetoric. I think that the lessons learned from Vincent Chin's murder--the outrage and subsequent activism by Asian Americans (and their allies) can be instructive for those of us who want justice for Martin and his family--but most of all, for those of us (and I'm assuming this is everyone in the world except for the most callous among us) who want to make sure that a young teenage boy is never stalked and killed by a vigilante gunman.